President Trump's son-in-law shares details on the 'deal of the century, to be released following Israel's elections. 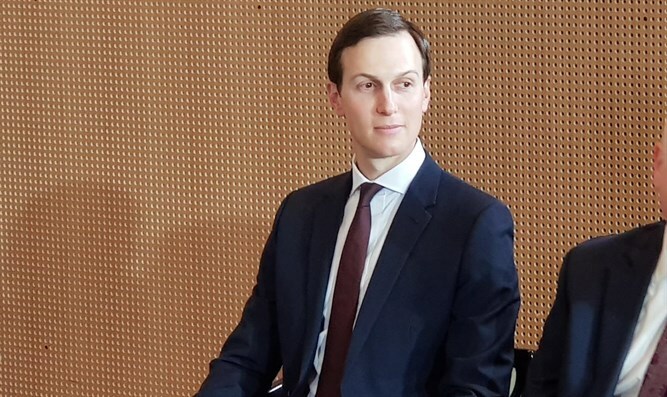 US President Donald Trump's adviser and son-in-law Jared Kushner who is the head of the team formulating the administration's peace plan, revealed several details about the plan to Sky News in Arabic. "We have tried to formulate practical and just solutions to the Israeli-Palestinian issue," Kushner said. He did not reveal any significant details about the plan, which President Trump has called "the deal of the century." "The American peace plan is very detailed and will focus on delineating the border and providing solutions to the main issues that are controversial and will be appropriate for the current situation on the ground," Kushner explainws. Kushner noted that the Palestinian Arab leadership must unite towards such a process. "Today there is a significant split between Judea and Samaria and the Gaza Strip. We want to see the Palestinians unite under one leadership. We know that all the Palestinians want a leadership that will take care of their interests and be free of corruption." He said the Arab countries supported the direction of the American proposal. "The conflict between Israel and the Palestinians has been used for many years to incite and radicalize, when hatred of Israel united all the countries in the region. Today that has changed because of Iran, which is the greatest threat to the entire region and unites all of them." The Trump Administration is expected to release its peace plan following Israel's elections in April.